Shady Grove Fertility physicians, staff, and patients will join together on Sunday, April 28, 2019 to participate in a day of fundraising to support The Tinina Q. Cade Foundation’s Savannah Grant. Cade Foundation CEO, Dr Camille Hammond, shared "It is an honor to celebrate the legacy of Savannah by providing grants in her memories to help families struggling with infertility. We have been privileged to work with SGF and her family to serve families. " 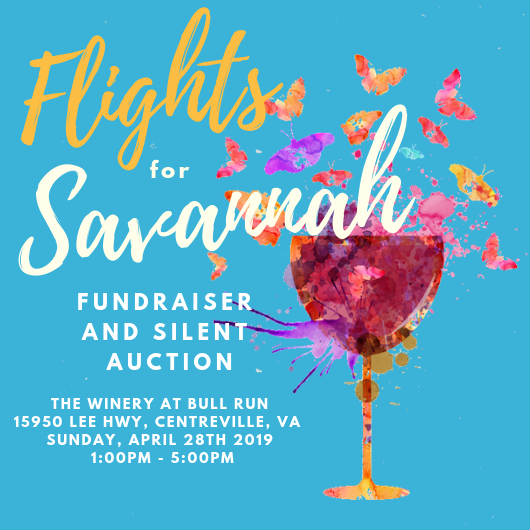 The Cade Foundation will host the annual Flights for Savannah Wine Tasting and Silent Auction on Sunday, April 28, 2019, at the Winery at Bull Run, Centreville, VA. SGF physicians, staff, and current and former patients are invited to celebrate the strength and courage it takes to overcome infertility, and to raise funds in support of the Savannah Grant. The Savannah Grant, which provides up to $10,000 for fertility treatment at SGF, is a Cade Foundation Family Building Grant specifically designated for an SGF patient who is pursuing IVF, in honor of Savannah Caroline Pereira, an SGF baby who tragically passed in March 2010. All SGF patients, including those who plan to use donor eggs and/or a gestational carrier, are eligible to receive the Savannah Grant. In total, the Savannah Fund has raised more than $142,000 to support families struggling with infertility. To date, the Fund has supported nine families and there are now eight Savannah Grant babies. "Annual fundraising events such as Flights for Savannah, raise money for grants that provide financial assistance to deserving, hopeful couples who are struggling to conceive. It’s an honor for SGF to be a part of such an event that supports this cause,” said Jason Bromer, M.D., of Shady Grove Fertility’s Frederick and Hagerstown, MD offices. Purchase tickets to Flights for Savannah or make a donation to support the Savannah Fund. To apply for these grants, please submit an application for the Cade Foundation Family Building Grant. SGF patients will automatically be considered for the Savannah Grant and Dr. Stephen Greenhouse Grant when they apply for a Family Building Grant. To make a contribution in support of these grants, please visit the Cade Foundation. Tinina Q. Cade Foundation, Inc.